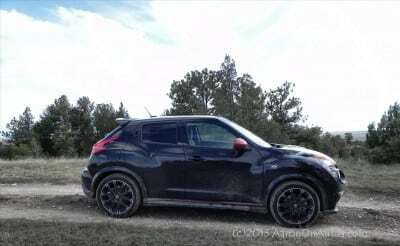 The quirky little 2013 Nissan Juke NISMO is more fun than any vehicle has a right to be. 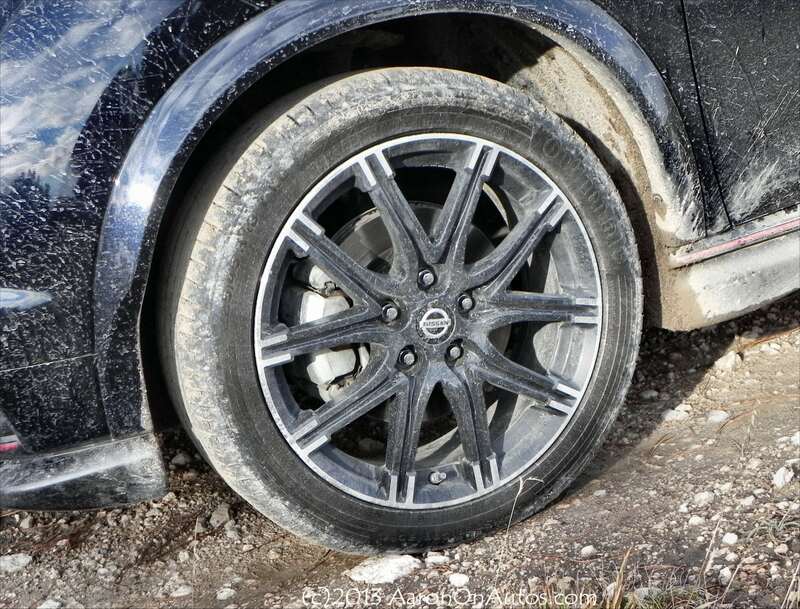 Although Nissan markets this sport hatch crossover as a street racing rally machine, it’s real fun factor comes in when you take it into the dirt. The Juke is one of those vehicles that people either love or hate. I happen to really like the way the Juke looks and its quirky and endearing ways. My wife has the opposite thought, calling it “ugly.” The Nissan Juke falls into that class of vehicle I call “Michael Jackson rides” because you either love ’em or hate ’em. Just like Mike. The Juke NISMO is marketed as the sport-tuned, racing version of the little Nissan Juke. It debuted this year and turned heads, mainly because a hand-made “supercar” version of the Juke is available as the Juke R (selling for $650,000) and many automotive enthusiasts thought this would be a toned down version of that. Instead, it’s something very different. 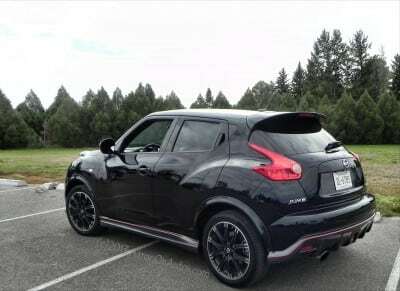 Many of those have accused the Juke NISMO of being nothing more than a lame sport badge with nothing substantial added. The market reality is, people will not pay large sums of money for a vehicle like the Juke, so Nissan had to make choices. I think they made the right ones. The standard Juke is powered by a 1.6-liter, direct-injected, four-cylinder engine with respectable power output (188 horses) coupled to Nissan’s excellent continuously variable transmission (CVT). The platform the Juke is based on is Nissan’s B-series and is the global format several of the company’s high-selling vehicles are based upon. 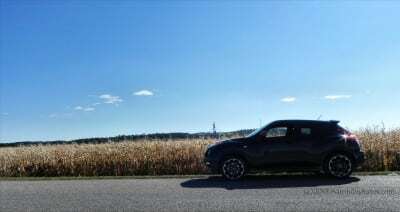 Given the Juke’s diminutive size and the engine’s high output, it has a great power-to-weight ratio. For the NISMO package, 9 more horses were added and aerodynamic improvements plus a stiffer, sportier suspension were put on. 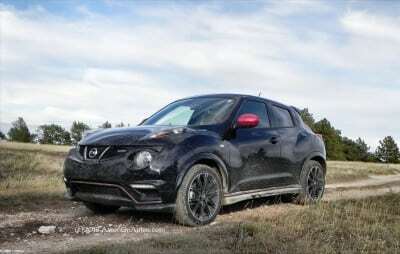 This lowered the Juke’s clearance by about an inch and a half, but meant better road-hugging and a little more power under the hood to make up for the losses the aerodynamic down-force additions caused. The CVT was also tuned for a new Sport Mode to give it a more powerful feel while the steering (electric-assist) was given a little more resistance to make the driver feel more in control. Other improvements include the beautiful sport seating, leather-ish and swede additions to the interior, special NISMO packaging and aesthetic details, and a larger rear spoiler. 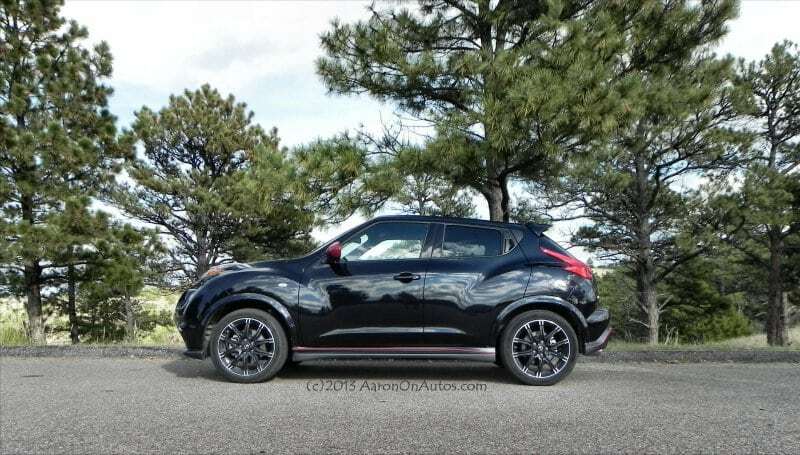 Compared to the standard Juke with the CVT and all-wheel drive package, the 2013 Juke NISMO AWD package looks, feels, and drives with more sport. The red accents on the outer body and interior are well-done rather than annoying (red has a way of hitting you in the eyeball if not well-placed) and the feel behind the wheel is definitely more sport-tuned. 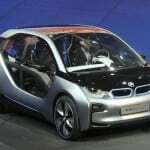 Whether or not this pans out in reality with better 0-60 times or higher speeds is actually irrelevant, in context. 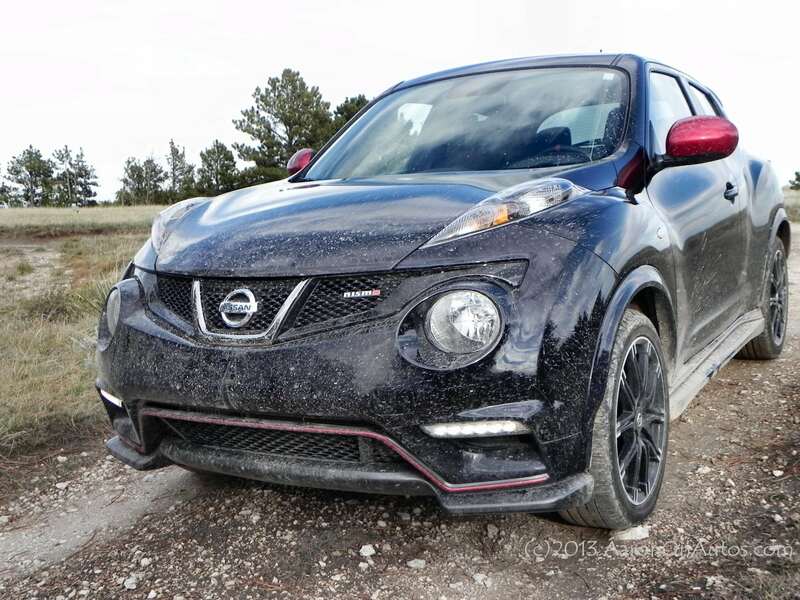 The idea wasn’t to make the car actually track-ready – it’s a crossover and no matter what you do, you will never make a crossover do well on the track – but was instead to make the Juke feel like it is track ready. Nissan hit that nail straight on the head. Because they do not have an official company team racing offroad,Nissan couldn’t go the next step with their marketing of the Juke NISMO and call it what it really is: a dirt course rally champ. I honestly cannot name a factory stock vehicle I have had more fun in on the dirt track than the Juke NISMO. The only thing to come close was the Juke without the NISMO package. Obviously, the 2013 Juke NISMO is not a go-anywhere offroad ride like the Nissan Frontier Pro4X or the Subaru Forester. It is, however, really, really good at dirt track speeding. In the AWD package, it offers three options. The 2WD (front-wheel drive) offers fuel economy for everyday driving and allows the Juke NISMO to retain the standard Juke’s 27 mpg average (25 mpg city, 30 mpg highway). As an everyday driver, the 2013 Juke NISMO is both fun and utilitarian. 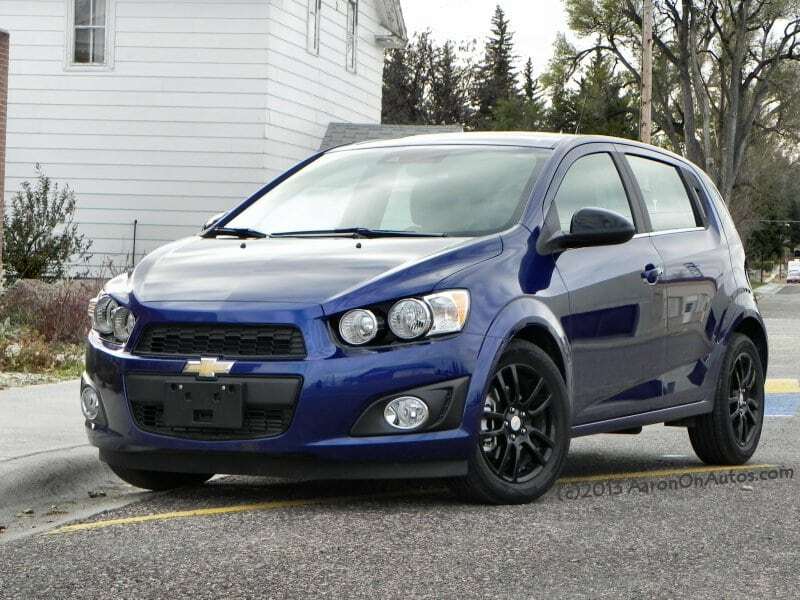 It has enough usefulness in the hatchback build to make it practical, but the small size, extreme maneuverability, and its quirky nature keep it fun. The other two options are AWD-v and AWD. 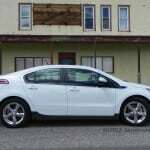 In AWD-vectored, the power is split evenly at 50:50 front-to-rear. In adverse weather or muddy offroad conditions, this is a decent option if you prefer control over driving options (AWD-v will make handbrake turns nearly impossible, for example). It’s a good spot for everday driving in weather. The forced AWD option allows you to switch off traction control and other things as you see fit and dynamically distributes the power to the wheels as required. When in Sport Mode driving for fun, this is the way to go if you’re in the dirt. In brake turns and power slides, it will stop sending power to the rear when the wheels are locked and on hills and corners, it will move power to the forward or outside to improve control and performance. In speed testing the 2013 Nissan Juke NISMO, I did my usual duo of freeway on-ramp and quarter mile runs. In Sport Mode, my three-run average up the ramp was merging at 90 miles per hour even. In Normal Model, three runs averaged 92 mph on the merge. The difference is in the shifting. The CVT in Sport Mode will fake gearing to give the feel of a sports car accelerating. This makes sense, given the audience the Juke NISMO is aiming for, but for someone like myself who understands the strengths of a CVT, it’s distracting. The CVT in Normal Mode acts as it should, maximizing torque and horsepower at all times, which gives an edge (at least for me) on speed. Quarter mile times were tested in the same way in both modes, with both averaging within a MPH of each other at 91 and 92 respectively. The interior of the Juke is roomier than would be expected when viewing it from the outside. While barely seating four (the rear bench is best suited for small people or car seats), it is very comfortable in the front and has far more cargo space than most would think. In the NISMO package, the front buckets are a sport bucket design with big side bolsters that hug the body securely, but which retain a high level of comfort. This creates some of the best seats I’ve ever witnessed and even my cynical wife said they were almost as good as those we’d had in the 2013 Nissan Altima earlier this year. 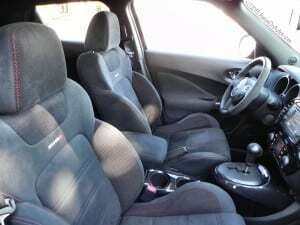 In this segment or class of vehicle, you will not find better seating. The interior for the NISMO package also sports some beautiful use of suede on the doors, steering wheel, and seat bolsters. Red stitching, a red stripe at the top of the steering wheel, a red-faced tachometer, and other NISMO-specific details are also found throughout the cabin. Otherwise, the layout is the same as the standard 2013 Juke with a nice mixture of storage, ergonomics, and control layout. The rear seats fold to create even more cargo space, as needed, and the four door layout means easier access to the rear, though from the outside, many assume the Juke to be a two-door. Finally, the optional, but highly recommended Rockford Fosgate ecoPUNCH premium audio system is phenomenal. It’s hard to place competition on the Juke, let alone the NISMO package. The Toyota Matrix and Mini Countryman are probably the nearest, but the Juke is a decidedly singular vehicle that doesn’t really fit in any specific class. In the NISMO package, it definitely stands alone. 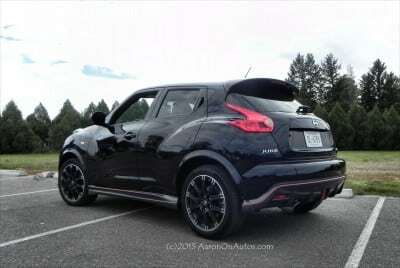 Nothing but fun in this package, the 2013 Nissan Juke NISMO is a good time on four wheels. Rally racing happiness with good fuel economy and everyday versatility. Not everyone likes the look of the Juke. A little pricey for the NISMO upgrades. 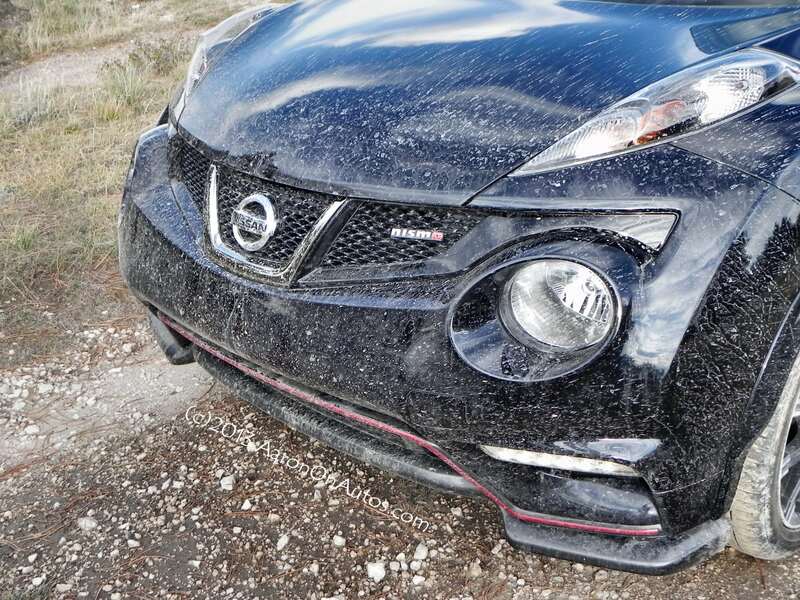 The number one thing to remember about the 2013 Nissan Juke NISMO is that it’s fun. Oodles of it. So much fun that you might have to stop occasionally to take a breather. Whatever you do when you drive one, make sure it involves dirt roads. 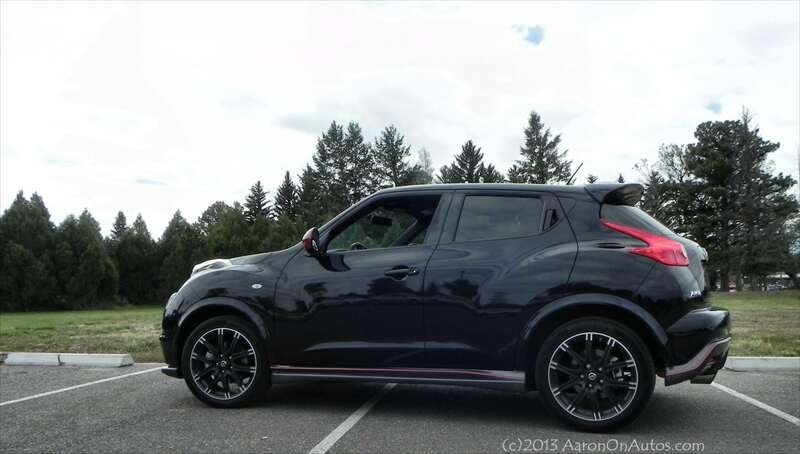 This is where the Juke NISMO really shows its personality. 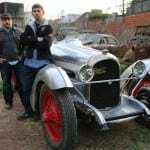 Vehicle was driven on the race track at a press event over the summer and again as a press loan from the manufacturer for a week. The Juke NISMO was driven both on and offroad, on highways, freeway, and in town for a total of nearly 400 miles over the week-long loan.